All this week MortonUnderwood are in residence with their Sound Trolley. 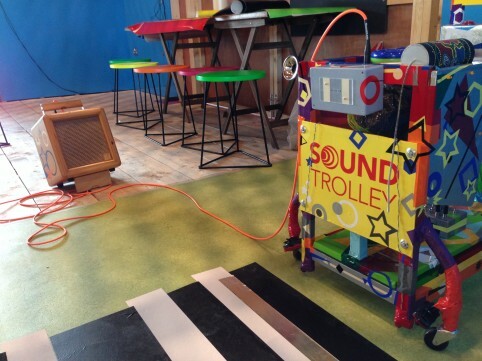 It is controlled through an accessible interface and features an optical sequencer at its core; triggering sound as the trolley is pushed around on floor patterns made from vinyl. These designs will determine what sound the trolley emits when it is maneuvered over them. It’s a playful vehicle of sonic delights, waiting to be driven by you. 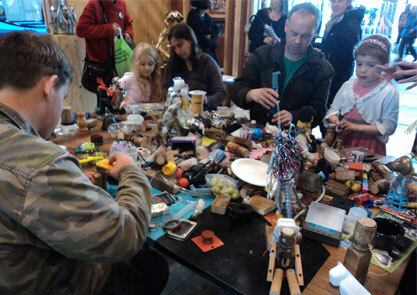 If you enjoyed the 2arttoyguys’ Vintage Sci Fi residency last week, there’s a ‘Robots and Technology’ lunchtime talk by Nick Hoares of University of Birmingham 12.30-1.30pm. 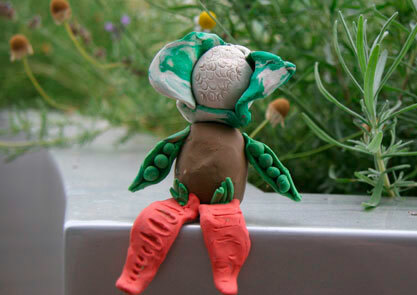 If you missed the amazing Vegetable Quest workshop in the opening week, you can join Juneau Projects this Saturday at 2p to make your own veggie characters.